Housing Visions is a neighborhood revitalization organization with several properties throughout the City of Syracuse. 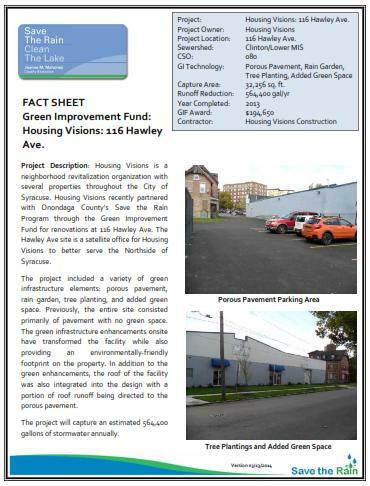 Housing Visions recently partnered with Onondaga County’s Save the Rain Program through the Green Improvement Fund for renovations at 116 Hawley Ave. 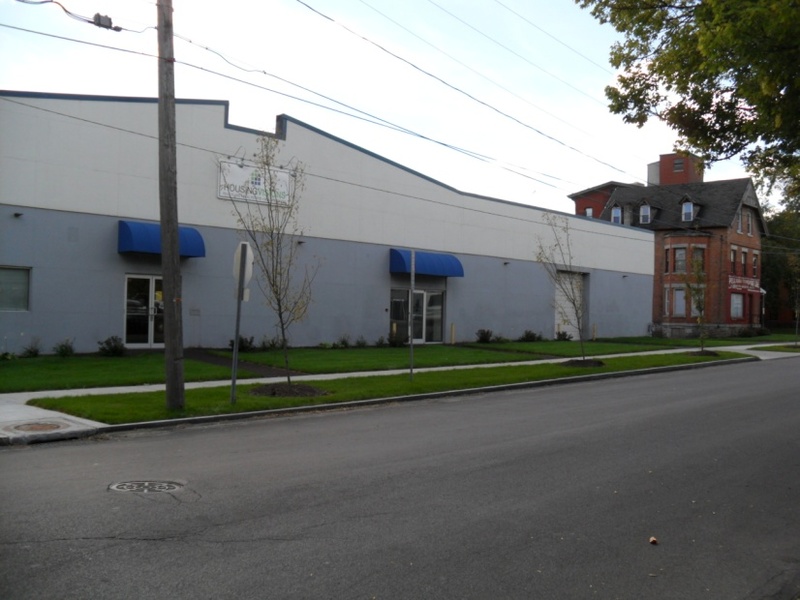 The Hawley Ave site is a satellite office for Housing Visions to better serve the Northside of Syracuse. The project included a variety of green infrastructure elements: porous pavement, rain garden, tree planting, and added green space. Previously, the entire site consisted primarily of pavement with no green space. The green infrastructure enhancements onsite have transformed the facility while also providing an environmentally-friendly footprint on the property. In addition to the green enhancements, the roof of the facility was also integrated into the design with a portion of roof runoff being directed to the porous pavement. The project will capture an estimated 564,400 gallons of stormwater annually.